East View Map Link (EVML) is a certified supplier of Secretaria de Marina (SEM) nautical charts. Our exclusive print-on-demand agreement provides mariners with the highest quality historical approved nautical charts. 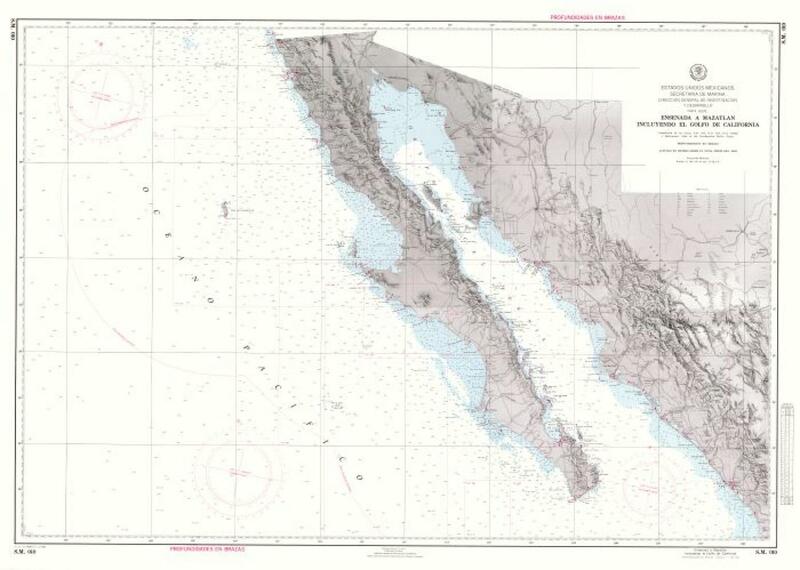 Our Ensenada A Mazatlan Incluyendo El Golfo De California nautical chart (Map Index 010) is printed standard using high resolution, heavyweight and acid free paper. Additional paper types and format options are available.